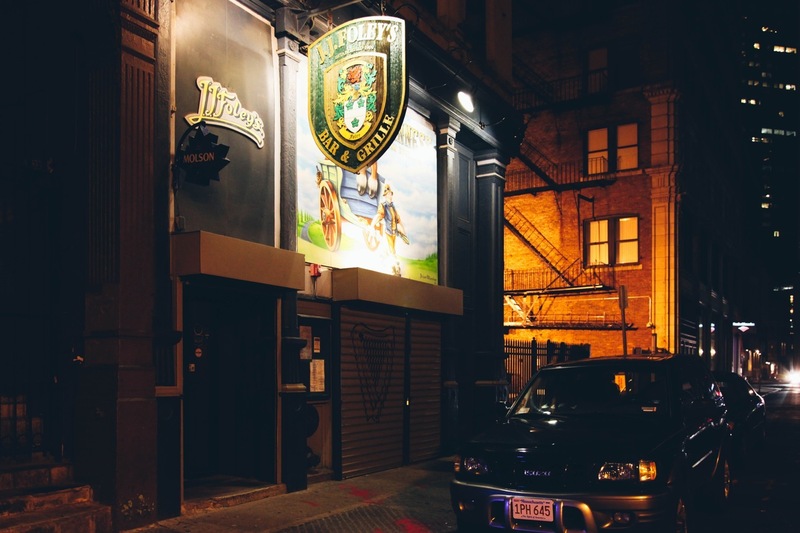 In a city chock full of proud Irish expats and Irish-Americans, it’s little wonder our small corner of the country boasts a surplus of cozy, welcoming Irish pubs. Not only do the best Irish pubs in Boston offer affordable pints of beer and a fun atmosphere, some even double as the best sports bars and nightclubs in Boston. A few even serve grub that’s so good, you might think you’re visiting one of the best restaurants in Boston. To get the full experience, head in on a lively trivia night, or during an authentic live music performance. 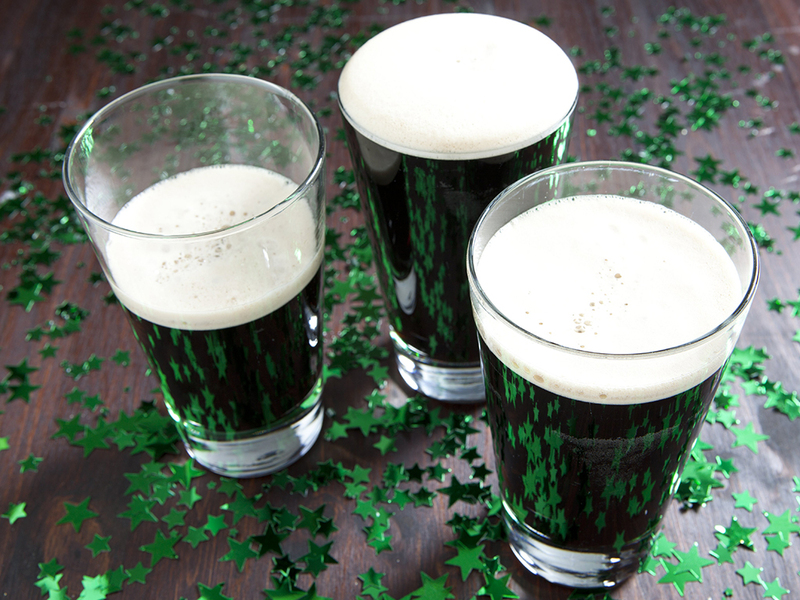 Grab a friend or two, order a pint and prepare yourself for a night of pure, unadulterated fun. In business since 1882, this old Irish charmer has long been popular among politicos. Times have changed, however: The room once named after JFK’s grandfather “Honey Fitz” Fitzgerald is now named after the late Mayor Thomas Menino, who was of Italian descent. The ceilings are lofty, the rooms capacious and the murals high on the walls, portraying scenes from colonial Massachusetts, are gorgeous. 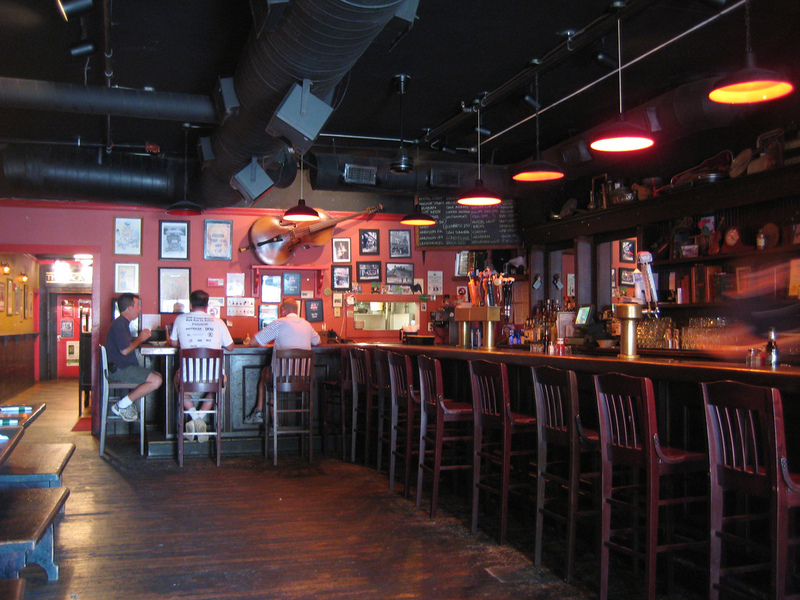 The generous portions of comfort food and the wide selection of ales and scotches are a bonus. 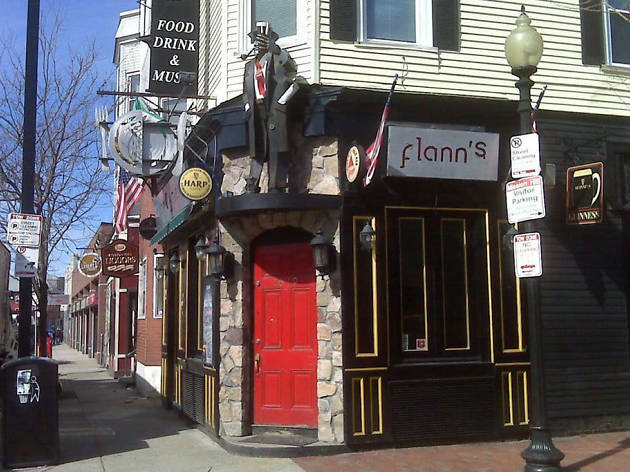 A Davis Square mainstay, The Burren is one of the most popular Irish pubs on the other side of the river. 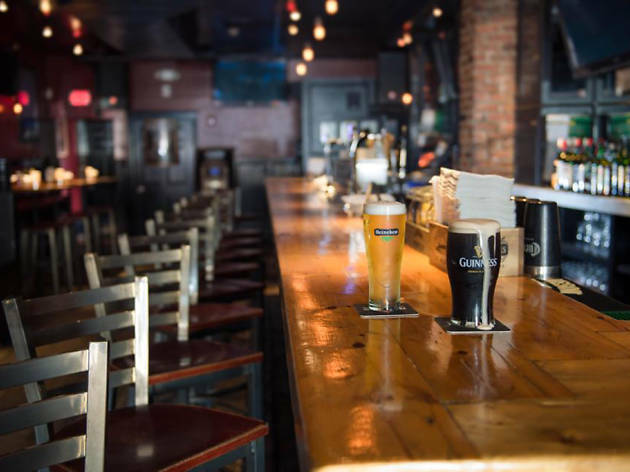 During the afternoon, the front room—with its wood-slatted floors and a gentle light pouring through the windows—is full of folks tucking into bowls of beef stew, sipping pints of Guinness (or any number of local brews), and listening to informal Irish seisiúns. At night, the place gets packed with young area residents and students, many of whom come to check out nightly live entertainment. 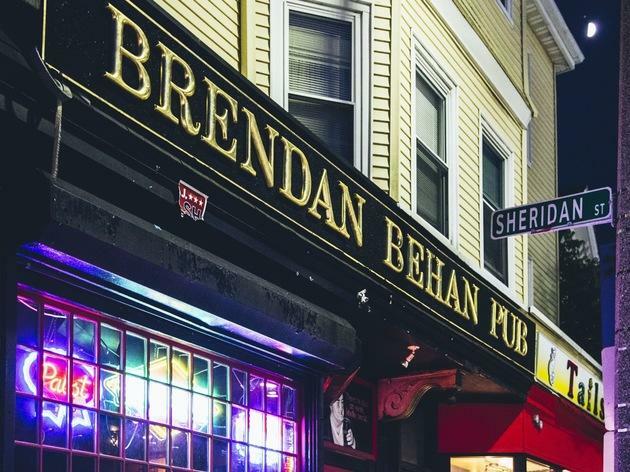 Named after the Irish playwright, Behan’s is not a fancy place—it’s small and dimly lit, with no food on offer—but that’s part of its charm. Locals love it because they are encouraged to bring their own food—usually from the various take-out joints that dot Centre Street—to nibble on in-between pints from the venue’s solid beer selection. Trivia nights are held on Tuesdays, poetry nights take place on Thursdays, and Saturday afternoons feature live Irish music. 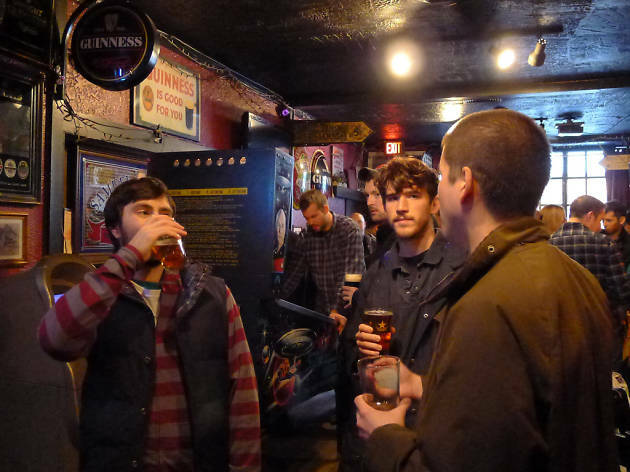 All of the important elements are here at this Mission Hill hangout: dim lighting, exposed stone walls, dark-wood built-ins, vintage Guinness signage and a moniker that honors an earlier-era Irish writer. Bonuses include a working fireplace and the “Guinness Breakfast Challenge,” a Saturday and Sunday brunch throwdown that dares you to finish an enormous Irish breakfast in under an hour. 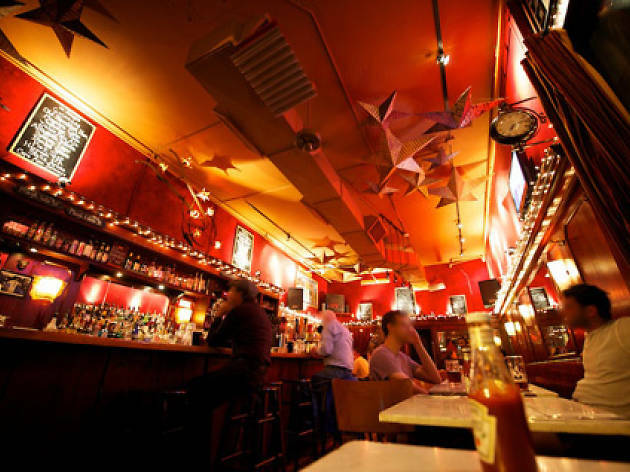 Tuesday night trivia, Thursday night DJs, and Saturday night karaoke all bring lively crowds. 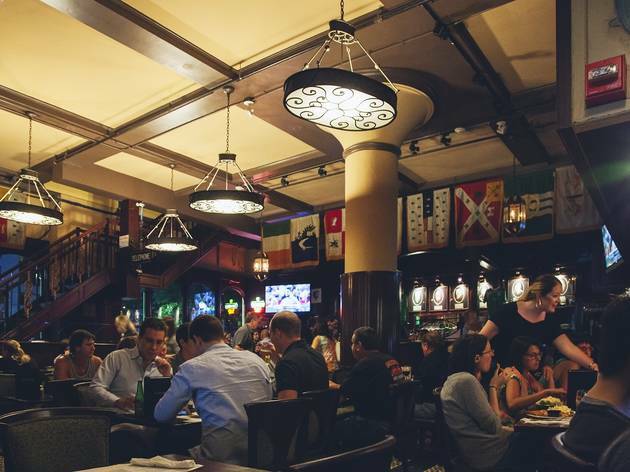 One of the older - and most famous - Irish pubs in the city, the Black Rose plays its part well: photos of martyred patriots adorn the walls and flags from every Irish county hang from the ceiling. But its true selling point is the nightly program of live Irish music. If you’re up for a rowdy, Guinness-fueled sing-along with friendly locals and tourists, this is the place to go to. 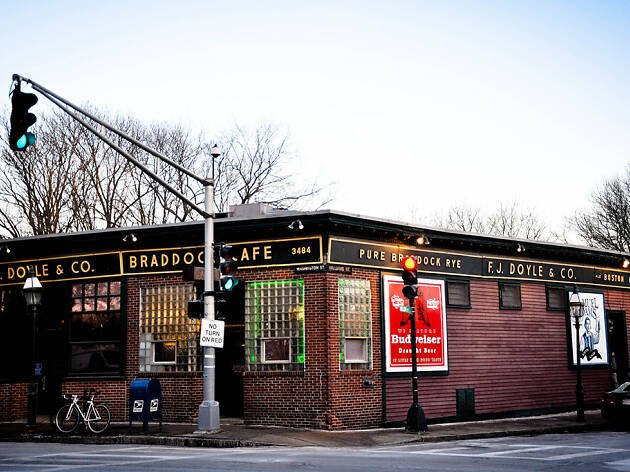 A true institution in the heart of Inman Square, The Druid is a tried-and-true option for the hallmarks of a classic Irish hangout: friendly crowds, tasty pub fare, a gorgeous dark wood bar, live music, and a strong beer list, including impeccably-poured pints of Guinness. 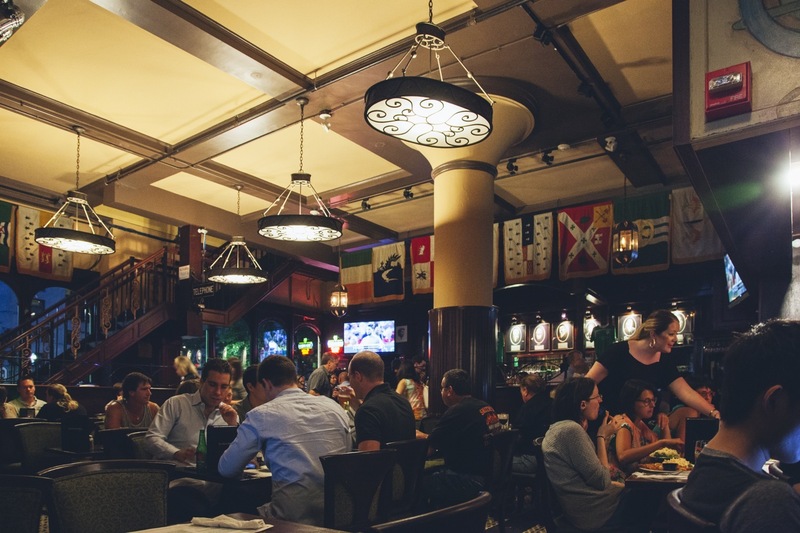 One of the area’s most competitive trivia nights is hosted on Wednesdays, and there’s live traditional Irish music on Tuesday nights and Saturday afternoons. 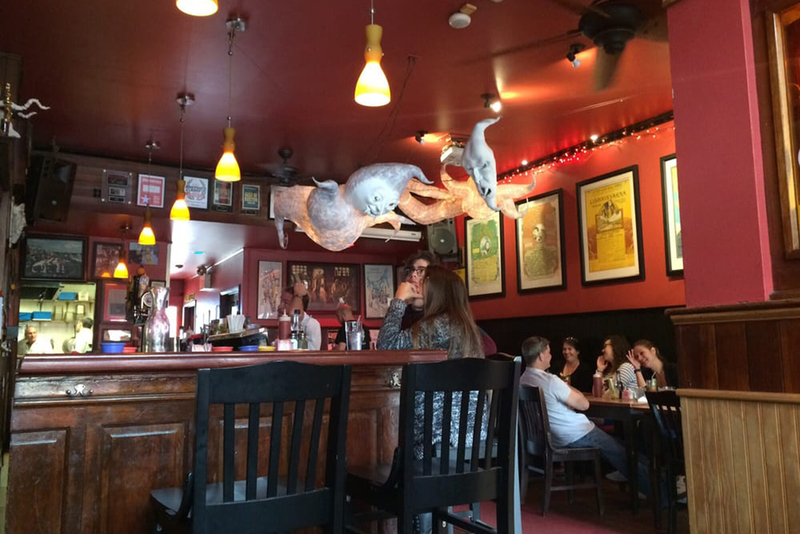 Named after Lough Corrib, a massive lake in West Ireland, this Brighton mainstay—open since 1969—attracts plenty of homesick expats as well as students and longtime locals. To some, it’s the definition of a proper pub: an friendly, unassuming spot to enjoy a warm Guinness, a massive serving of bangers and mash, and a little live music. 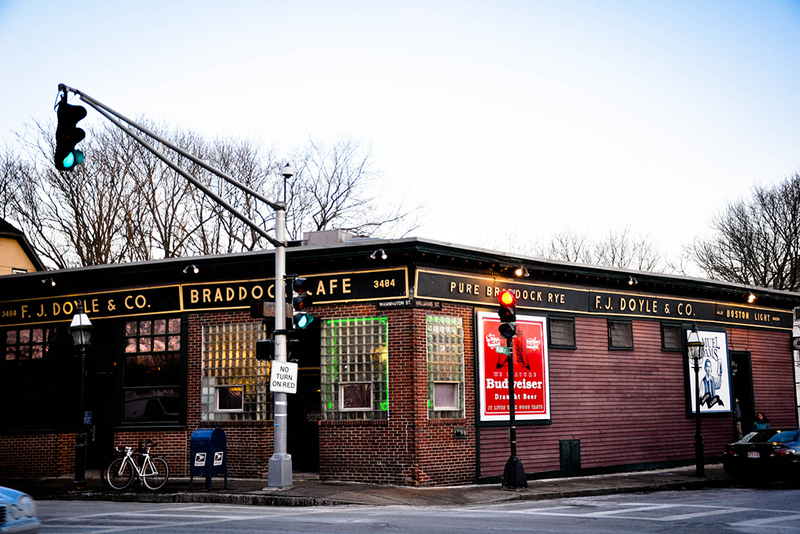 Sitting on a relatively quiet stretch of Mass Ave between Central and Harvard Squares, this diminuitive hangout has been going strong since 1969. In the daytime, it offers some of the best pub grub in town. 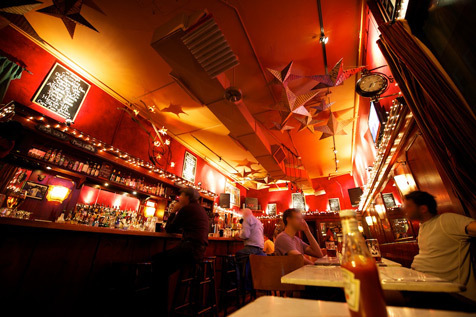 Every night, the tiny space is transformed into a hotbed of live music; blues jams are held on Wednesdays. Stop by on Monday nights to test your trivia skills against brainy Cambridge academics. One of the most atmospheric Irish pubs in a city that has no shortage, Matt Murphy’s is well worth a journey into the heart of Brookline Village. 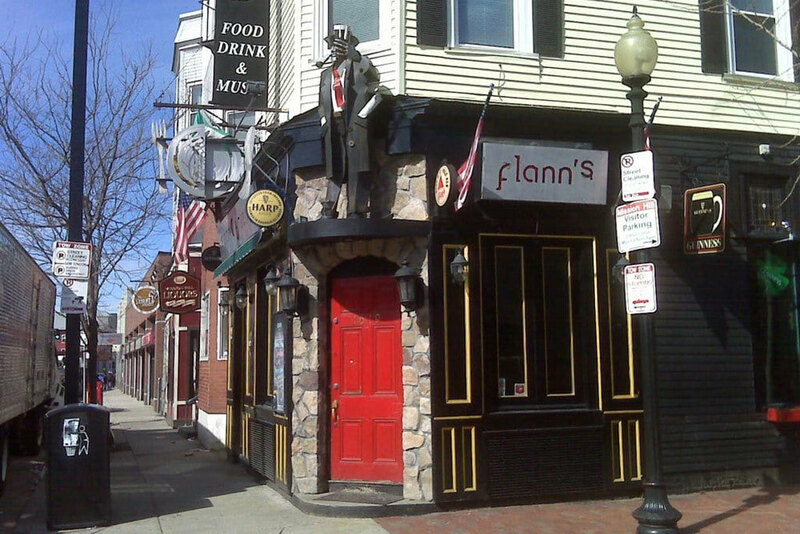 The Guinness poured here is sublime, but what makes it such a hit among locals is its grub. The fish and chips - served wrapped in newspaper, with house-made ketchup - is deservedly famous, as is the kitchen's take on shepherd’s pie. 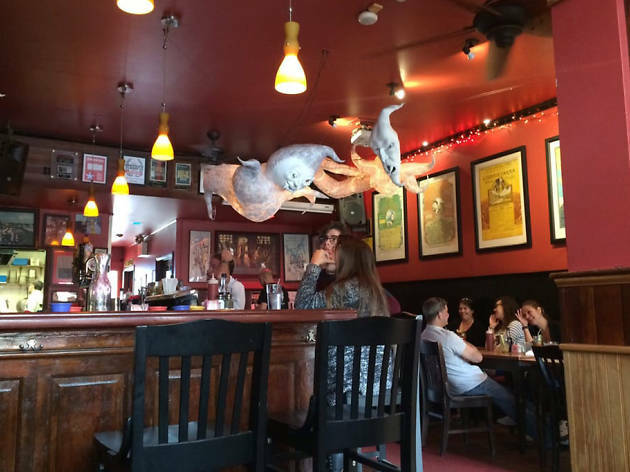 As one of New England’s most popular spots to watch a big soccer game, The Banshee lures an eclectic mix of fans and homesick expats to its Dorchester home. (Rugby and hurling get equal love.) 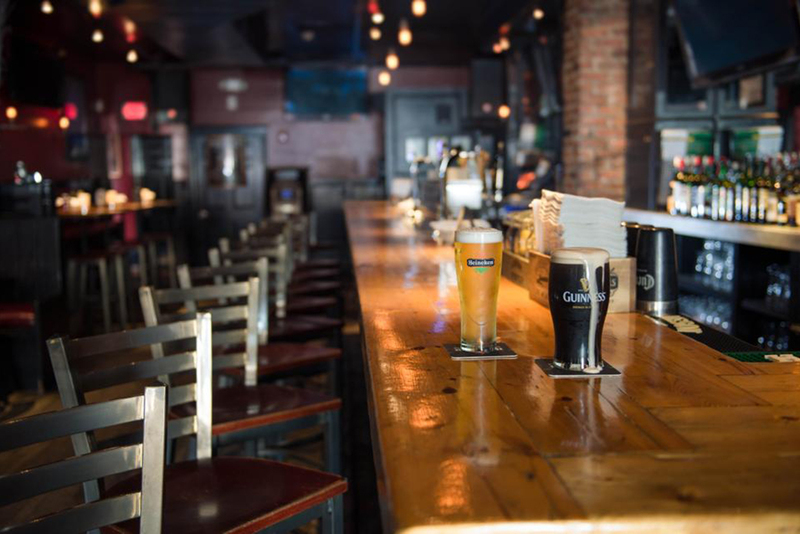 Come evenings, the bar morphs into more of a general-interest hangout, with weekly trivia and dance tunes attracting a broad swath of Dorchester and Southie twentysomethings. This low-key, low-lit bar serves as a beloved hangout for tattooed bike messengers, business suits, and just about anyone else who passes through Downtown Crossing. (U2’s Bono has hoisted pints here.) 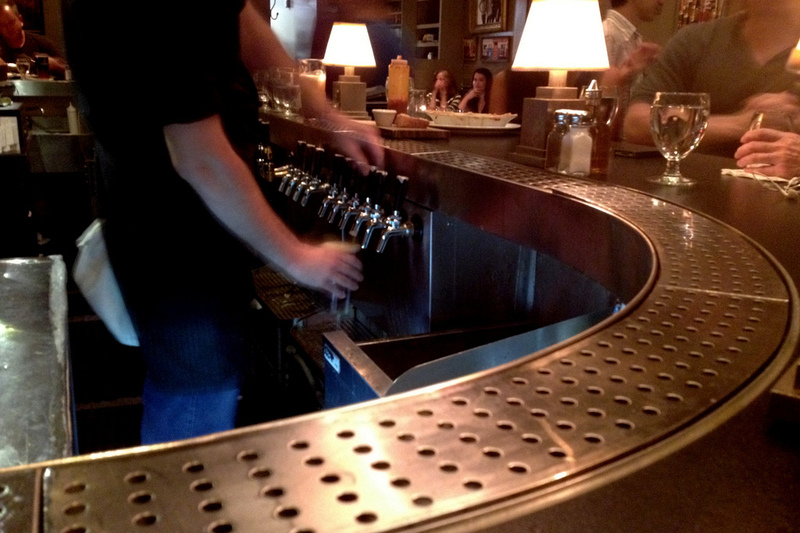 For the full experience, stop by after-work on a Friday, or during last call on a busy evening. A standard assortment of pub grub and bar bites helps to keep the party going. Situated in the heart of Central Square, The Field doesn’t take itself too seriously, maintaining a chilled-out, welcoming vibe that delights the youthful crowds who keep the space packed on a near-constant basis. 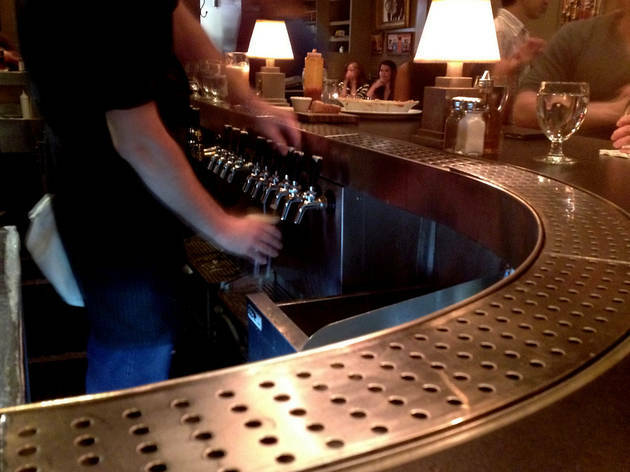 An exceptional beer list includes some hard-to-find local craft options, and there’s a pool table that is constantly in use. When the weather allows, the crowd usually spills on to one of the neighborhood’s only back patios. 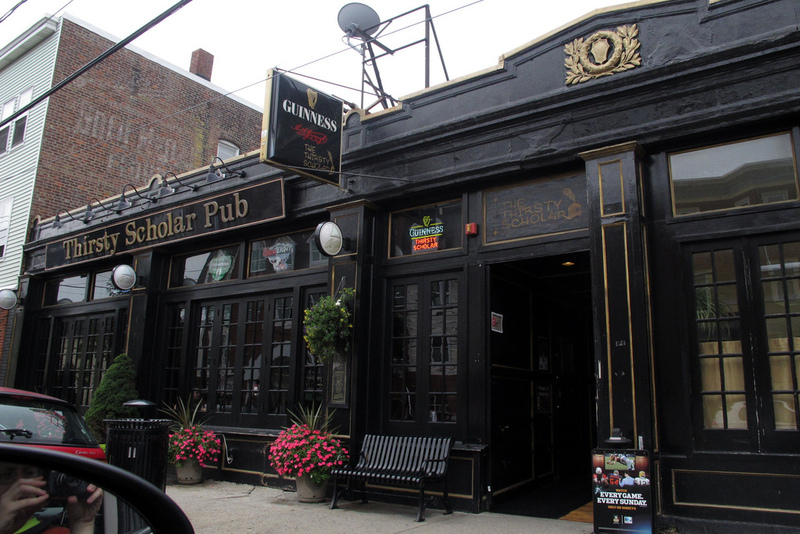 Hidden away near the Cambridge-Somerville border, the Thirsty Scholar has served as a second home for hordes of area academics. With its charming exposed brick walls and welcoming atmosphere, the bar is an ideal place to hole yourself away with a special someone for a quiet drink. There are plenty of TVs, ensuring sports fans can come in to watch the local teams play. 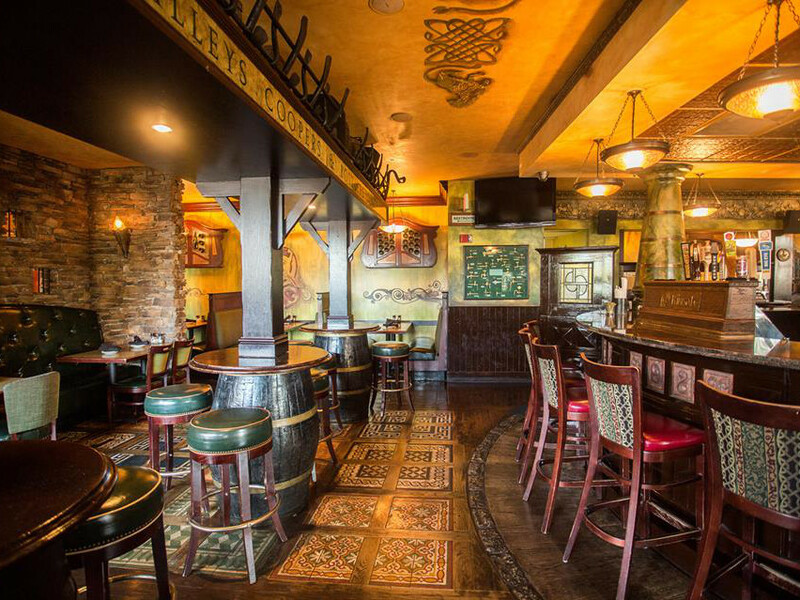 Built in Ireland and shipped to the Hub piece by piece, the Kinsale hits all the marks an Irish pub should. The Irish staff are unfailingly pleasant and pull a fine pint of Guinness. 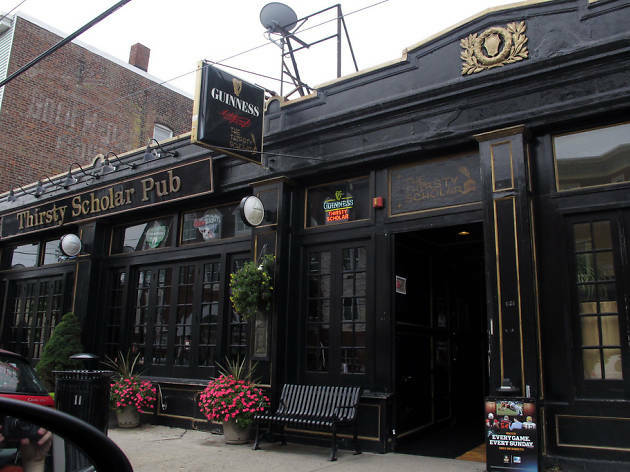 The Kinsale's über-central location (right across the street from Boston City Hall) means it can get crowded fast, but great pub grub and occasional live music more than make up for any stepped-on toes or spilled suds. The food menu abandons the Emerald Isle in favor of global eclecticism—quesadillas, burgers, and clam chowder are among the offerings.